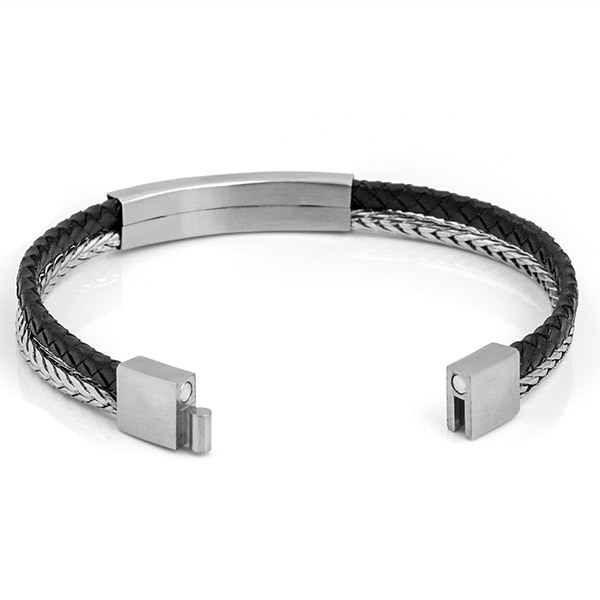 This elegant custom bracelet works well for men and women. 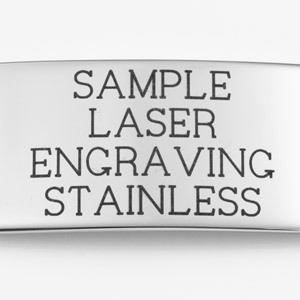 It fits wrist sizes ranging from 6.5 to 7 inches. 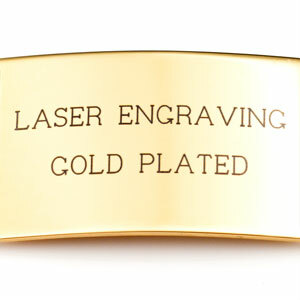 The clasp easily slides into a cavity and is held in place by the strength of a magnet. 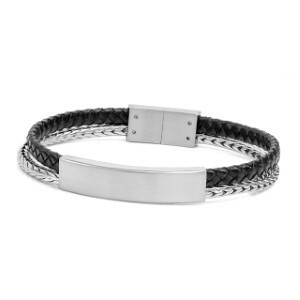 The unique design of the leather and stainless steel band make this personalized bracelet stand out among the rest. 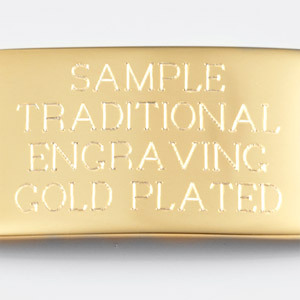 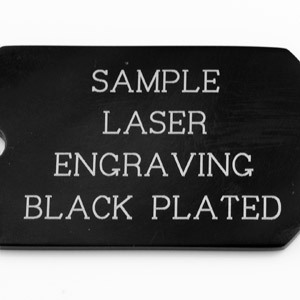 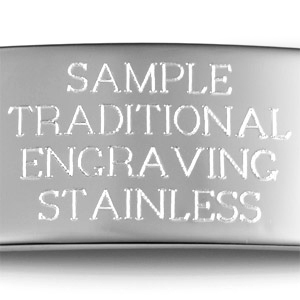 Choose traditional colorless engraving that is etched into the surface or laser engraving for a darker mark.